I’ve always preached about the benefits of “Sunday spa day,” the day in which I carve out me-time for a decadent bath, body scrub, face mask — the works. But you don’t have to pull out the works to have a soothing, stress-free spa moment at home. Even 30 minutes of relaxation and calm can do wonders for your mind and body. When I don’t have an entire day to devote to myself, here’s the little things I do to keep the spa lifestyle alive. I got into wearing luxurious nighties and robes a few years back. There’s just something special about slipping on a soft, romantic robe that can transport your mind and body to a wonderland of calm no matter where you actually are. I like to lounge in my Plum Pretty Sugar robe during my “me time,” which usually involves sipping hot tea (I’m a fan of Yogi Skin Detox Tea) and reading a (non-iPad) magazine or book. This typically sets the tone for my spa time. Whether you’re focusing on skincare, haircare, nail care or body care during your spa day at home, enjoy the process. I’m famous for wanting warp speed and efficiency, and sometimes it’s just nice to take in the entire act of what you are doing to treat yourself. Sure, you may not have time for the entire works of skin, hair, nails and body going at a slow speed on your own — but that’s not the point. For spa days at home, pick a self-care area that you personally love indulging in; for me, it’s skincare and haircare. I love the ritual of mixing up a mask (I’m partial to May Lindstrom Skin’s “The Problem Solver” and Yuli Skincare’s “Pure”), applying it and then going back to lounging while the mask does its magic. For haircare, it’s the same — give me a rich, moisturizing mask that heals my scalp and conditions my locks and takes zero effort once I’ve mixed up a concoction and applied it to my head. I like to use warm coconut oil with a hint of rosemary essential oil to treat my hair and stimulate my scalp. No matter what part of your spa indulgence you’re in, a candle is always perfect. The gentle, flickering light, and a soothing scent if you wish, is all it takes to change the tone of your spa day or spa night. I prefer soy wax candles in pretty tins or glasses and tend to stick with seasonal favorites (pumpkin, peppermint) or classic romantic scents (rose, jasmine). 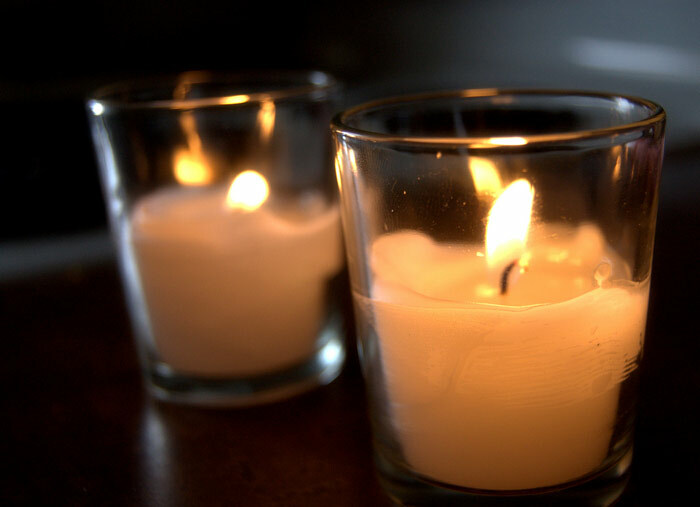 Keep your candle nearby whether you’re lounging on the couch with a face mask or in the tub so you can get the additional aromatherapy benefits and, of course, keep an eye on the candle. Baths are so underrated. Even if you’re soaking for just 15 minutes in your own standard-sized tub, a hot, salty bath is the essence of spa (you know, healing through water?) and can do so much for your skin and mind. While I don’t get to it as often as I like, every time I do make time for a bath, I always come out of it feeling renewed and clear-headed. My bath soaks of choice are usually pretty simple: Epsom salts to help detoxify the skin; organic mineral salts scented with pure essential oils to provide a scented escape; and on occasion, a moisturizing shea bubble bath makes me feel like a kid again. So, what’s everybody doing this Sunday? I think you know what I’ll be doing. In case you feel like you need more direction on spa day (seriously, though, you can’t mess this up — spa day is about doing what YOU want to do), Whole Living also has a great slideshow of ideas on how to treat yo’self (though I must admit, making my own lip balm sounds more stress than spa! ).